RAVENOL Active Foam Cleaner is an active foam cleaning spray with excellent moistening and cleansing properties, which delivers rapid, paintwork-safe, streak-free cleansing. Suitable for cleaning all of your vehicle's surfaces i.e. the bodywork or racing chassis and glass surfaces as well as helmets and helmet visors, motorcycle body work, vehicle windscreens and smooth surfaces such as mirrors, glass panes etc. Spray directly onto dirty surface, no need to wash beforehand, easily removes dirt and traffic grime, flies and bird muck. Our new fast acting RAVENOL Active Foam Cleaner is already being used with great success in professional motorsport all around the world including cleaning during pitstops. It's gentle but effective formula is perfect for use on wrapped cars for cleaning track dust or stage mud from sponsors decals. Brings your car or kart back to shining in seconds! 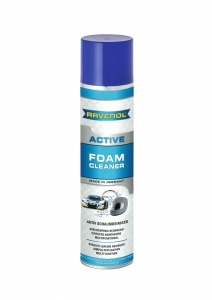 Shake RAVENOL Active Foam Cleaner prior to use. Spray the dirty surface to be treated with RAVENOL Active Foam Cleaner and allow the active foam to take effect briefly. Wipe over the surface using a lint-free cloth, paper towel or microfibre cloth, easily removing dirt and traffic grime, flies and bird muck. Allow the light remaining smear to dry for a few seconds and then buff with a dry cloth to leave a lovely shine. 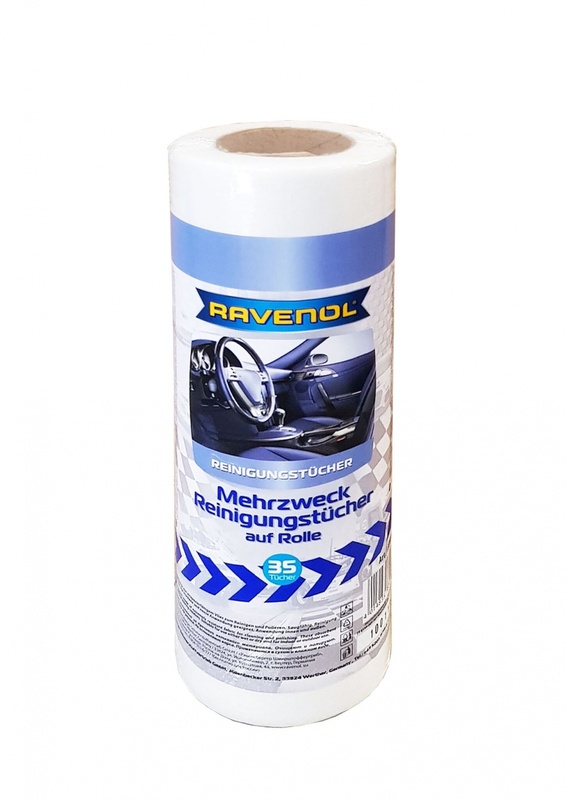 We recommend using our RAVENOL Multi-Purpose Cleaning Tissues which come in a practical roll. Note: Do not use on hot surfaces or in direct sunlight. Streak-free cleaning thanks to specialist surfactants for optimal visibility even in adverse conditions. Very good penetrating characteristics in order to reliably reach places which are difficult to reach. Good compatibility with materials also compared with paints, rubbers and plastics. Used this on my dirty race car and it got it sparkling in no time! Has to be one of the best cleaners I've used. Just spray it on and the muck comes straight off. Recommended!